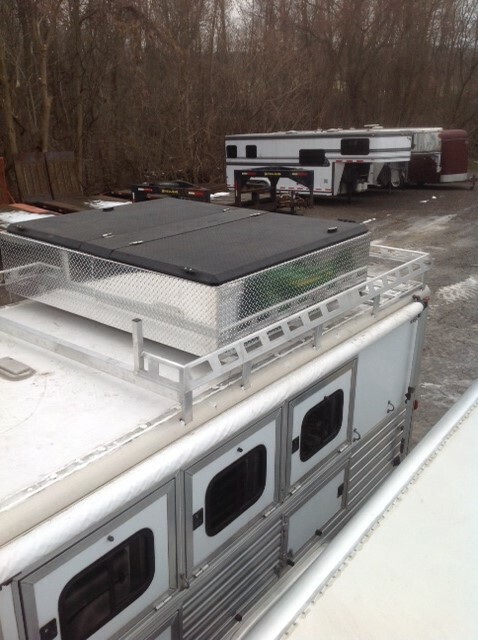 Horse trailer roof mounted hay pod, Rear open storage area and front gate rack. 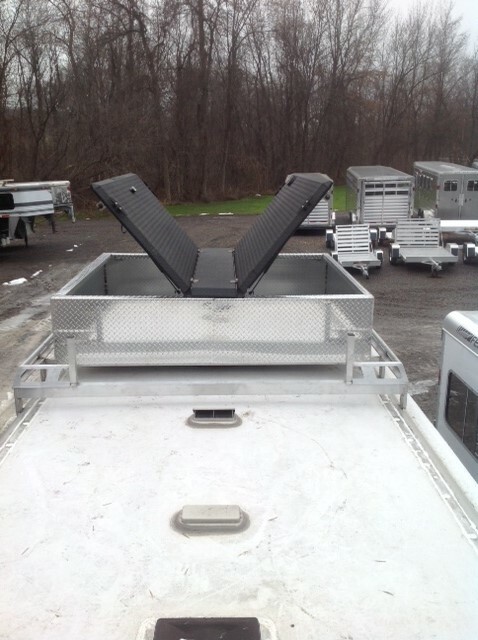 Custom designed and sized for multi use application. A great example of our ability. Pod is 7' X 6' X 20″ deep, walk on lid and sealed. Aluminum construction to be light and strong.